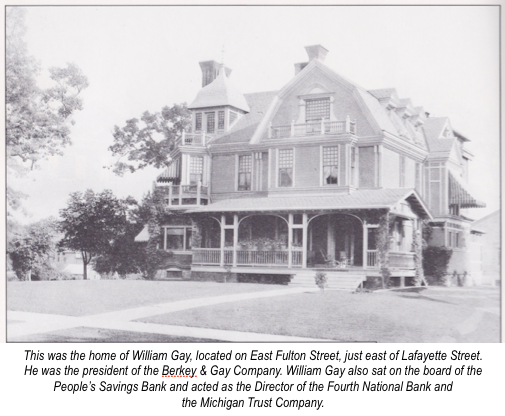 As we have noted in previous articles related to the 1911 Grand Rapids Furniture Workers Strike, the strike pitted a handful of wealthy robber barons and thousands of furniture workers. The wealth gap between the Grand Rapids furniture barons was outrageous. According to Jeffrey Kleiman’s book on the 1911 furniture workers strike, the years leading up to the strike saw significant revenues generated by the furniture companies. Such wealth was reflected in the way that the furniture factory owners lived. 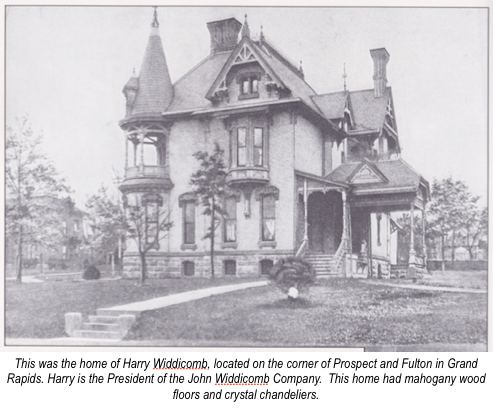 For instance, Harry Widdicomb, president of the John Widdicomb Company lived in this mansion on the corner of Prospect and Fulton, pictured above. 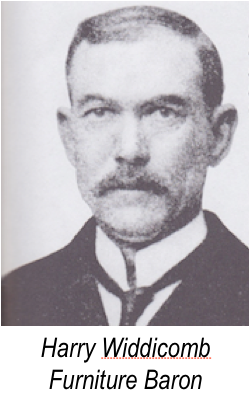 During the 1911 furniture workers strike, Harry Widdicomb aggressively sought to break the strike by bringing in scab workers from out of town. In fact, according to Kleiman’s book Strike!, Widdicomb drove scab workers to a from work, driving right through the mass of striking workers. Workers and their spouses regularly threw whatever they could get their hands on at Widdicomb’s car. Furniture workers, on the other hand, did not enjoy the same kind of wealth the furniture barons were accustomed to. In Viva Flaherty’s documentation of the Grand Rapids 1911 Furniture Workers Strike, she has the following information in regards to the range of wages being paid to furniture workers at the time. Many of the 8,000 plus furniture workers did not own their own homes and lived in very modest houses, often with extended members of their families. Hundreds of these houses were torn down when the highway system was built in Grand Rapids between the mid-1950s and mid-1960s. While it is clear that the Furniture Barons made their wealth on the backs of thousands of workers, they were not interested in sharing the very same wealth that the workers generated during the decades when the furniture companies flourished. This entry was posted in Anti-Capitalism/Labor and tagged 1911 Grand Rapids Furniture Workers Strike, furniture barons of Grand Rapids, wages of furniture workers in Grand Rapids, wealth of furniture barons in Grand Rapids. Bookmark the permalink.